ON February 25, 230 miles away from their home county, the Clare footballers had a choice. Either they folded, as they did against Meath in Navan three weeks beforehand, or they delved a bit deeper and forcibly quizzed Down on what they were made of. 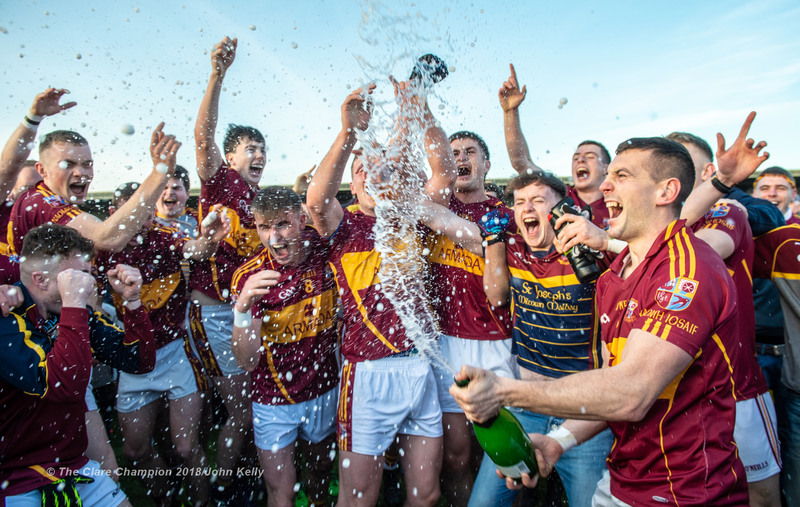 Minus the suspended Jamie Malone and Gordon Kelly, Clare wrought superb displays from a team that featured five starting players still in the first season of their senior inter-county careers. On Sunday at 2pm in Cusack Park, Clare will aim to replicate the attitude and decision-making evident in Newry. That day, they shot at goal 15 times, kicking 13 scores and managed not to miss Ciaran Russell, who was sent off on a yellow and black card. Since he was deployed as sweeper in the Tipperary game, Russell has solidified Clare and made them somewhat harder to break down. In their defeat to Meath in Navan, Clare were cut open regularly, as the home county broke one tackle and ran into open space. Much more disciplined in Newry than they were in their last home game, which was the draw with Tipperary on February 11, players like Seán O’Donoghue, Eoin Cleary, Eoghan Collins and Keelan Sexton delivered manly performances. They stood up when most needed. Can Clare do likewise this Sunday in their rearranged fifth-round NFL Division 2 game? They will aim for that level and, if they achieve it, they can move from four to six points. “The energy and intensity that was there against Down has to be there. 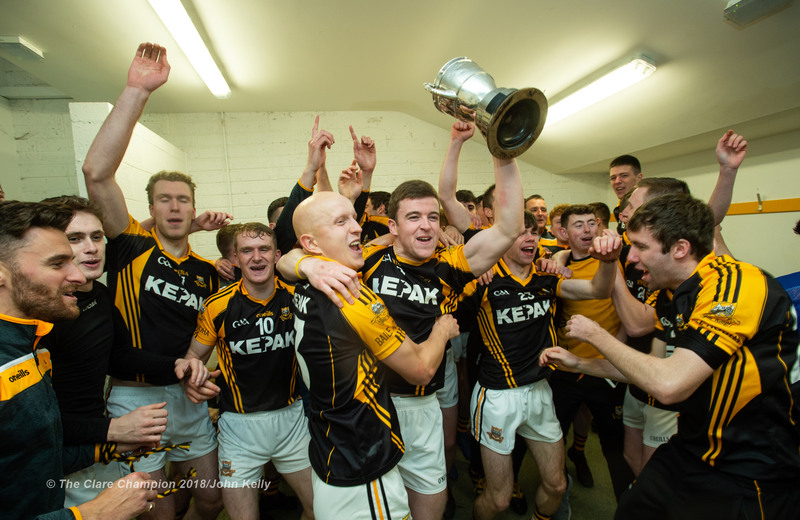 That’s something that’s not negotiable,” Clare manager Colm Colllins said. “We have to bring that to the table on Sunday. You can’t approach games without that. When we have that, we’re a match for everybody. That’s the key thing on Sunday, that we come with that energy that was so evident in Down. We also have to improve on the bits and pieces that we didn’t get so right in Down and continue on with the things that we did do well, like our shooting efficiency,” he added. Collins and the management team have had to throw in some players and hope that they delivered. Up to now, most of them have, thriving on the responsibility. “Cillian Brennan (full-back) has done very well, as has Seán O’Donoghue (roving role) when he got the opportunity. These are two young fellas that have done well in the Clare club championship. I watched most of the games and I thought both of them did really well in the championship. Eoghan Collins had difficult roles against Tipperary and Down but he did really well in both. “I would be confident that there are a few more fellas on the panel that are really itching to get time on the pitch as well,” the Clare manager maintained. 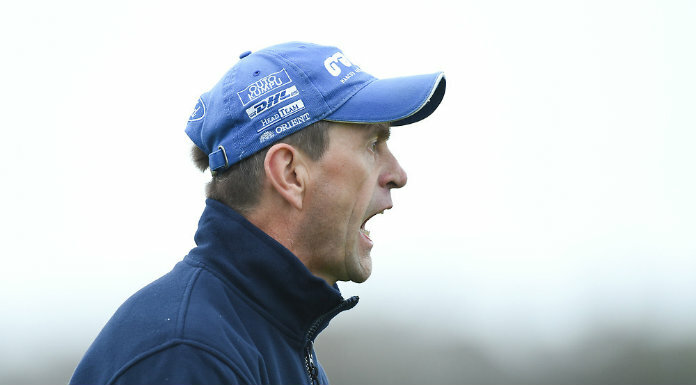 Collins feels that Clare coach Alan Flynn, along with strength and conditioning coach Rob Mulcahy, have played key roles in ensuring that the younger players have immediately adapted to inter-county football. “We’re fortunate in that we have a really good football coach and a really good strength and conditioning coach. These are excellent guys and they are doing their stuff. It’s a matter of when you go out, not forgetting what you have done in the training pitch and in the gym. “I’d be very happy with everybody that’s involved with us. I think they give the boys a real opportunity to succeed. We have really good players so it’s just a matter of doing it right on the day. As long as we perform, that’s the main thing,” he said, ahead of Sunday’s game. In 2016, Clare knocked Roscommon out of the All-Ireland championship, when the teams met in a fourth-round qualifier in Salthill. Roscommon, presumably, will not have forgotten that. “They would have been disappointed to lose to us in Salthill and I suppose that will be in the back of their minds. But things have changed a lot, personnel-wise, in the meantime,” Collins reflected. 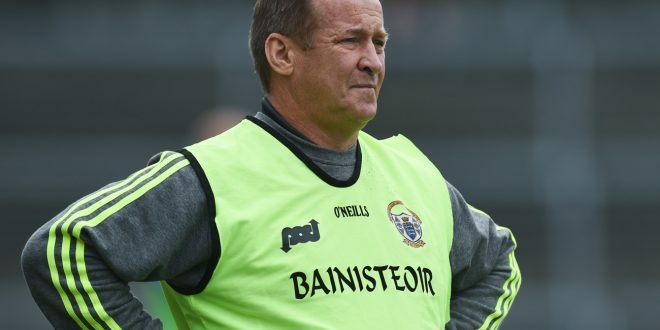 He added that he is not dwelling on the suspensions handed out to Jamie Malone and Gordon Kelly after the Tipperary game. “It’s something we have put behind us. We did that the following Wednesday night at training. We said that was it and we’ve got to handle that and get on with it. Hopefully, the fellas that do get a chance will take it. Everybody else is ok.
“Kevin (Harnett) is a long-term absentee. Other than that, I think everybody is available to us,” he concluded. Clare v Roscommon will throw in at 2pm in Cusack Park, Ennis on Sunday. The referee will be Niall Cullen (Fermanagh).